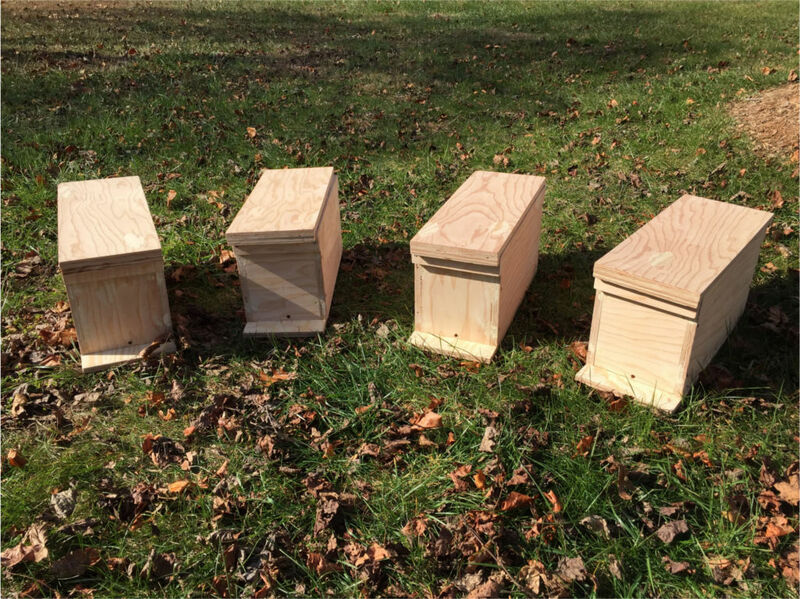 Make some new nucs: in 2017 I was fortunate enough to make and sell three 5-frame deep nucleus hives. This year I would like to do so again, including making both medium and top bar hive nucs. I am all set on equipment, which in fact I have had since last year. I need to finish my winter painting to have them ready for spring. Harvest (more) honey: it was fun to harvest a small honey crop in 2017, perhaps 35 pounds worth. My 2018 my goal is to harvest more honey than last year. Plant some pollinator plants: I have been aware of native bees lately, and the stress caused by lack of forage, pesticides, and possibly the competition from honey bees. I hope to help by adding additional plants to our yard. I specifically like the 10 foot by 10 foot idea proposed by the site tenbytenplusten.com, so that will be my minimum goal. Improved winter stores: one of the main reasons I can worry about my hives is that I know their overwinter stores could have been better. Part of this is the honey I stole, perhaps, though that was only from one hive (Mars). A bigger problem was Varroa, which I didn’t deal with until August, which meant I was not feeding weak hives until late in the season. So definitely room for improvement. Mark a queen (just one): my stretch goal, so to speak. I would like to mark at least one queen this year. I can’t imagine picking up a queen with my bare hands, so hoping to capture or otherwise cage her royal highness on the comb. We will see how I do. Finally, you may notice that the “wordpress” is not in the URL any more. Since I seem to be keeping up with this blogging exercise, I have upgraded the site to beeswitheeb.com. The old URL (beeswitheeb.wordpress.com) will still work, the newer one I just paid for is just preferred now. Go me. So it is with bees. Experienced beekeepers have an easy confidence around bees. The bees are calm because the beekeeper is calm, with fluid movements and a steady hand. I am not there yet, so perhaps these goals will help me in my training as a young padawan. Words to live by. May the force be with you…. Nicely said! I would suggest that with your blog, you’re not even trying. It just seems to flow from you as if you are possessed by some sort of force. Keep on doing! Thanks, Ron. I’m not so sure about that, though appreciate the sentiment. Stay warm!